Made in Central PA by K.C. Peck. 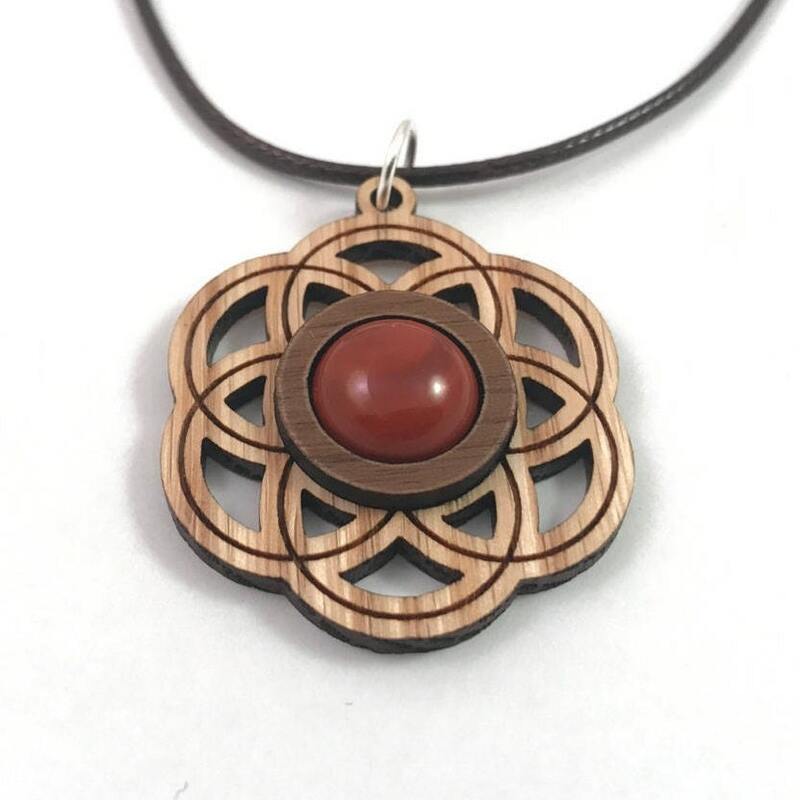 This pendant is made of sustainably harvested natural Oak and Walnut, with a 12mm genuine Red Jasper cabochon securely set between the layers of wood. Red Jasper is known to enhance responsibility and compassion, and to help control one's passions. 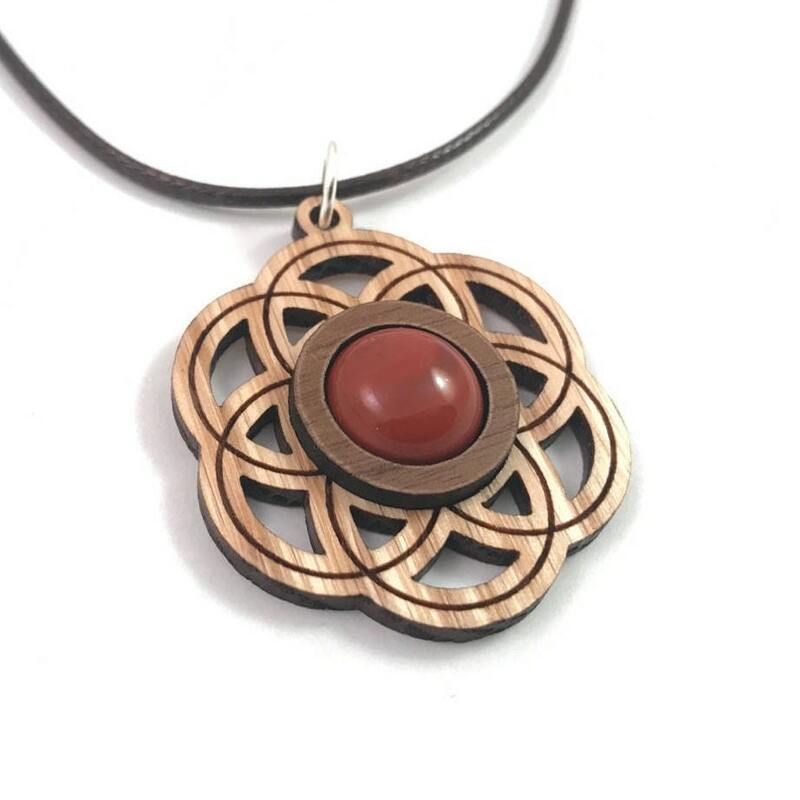 It is a grounding stone that represents the Root Chakra.